Confirm : Salman Khan's darling sister Arpita is pregnant! Confirm : Salman Khan's darling sister Arpita is pregnant! Home > salmn khan > Confirm : Salman Khan's darling sister Arpita is pregnant! Confirm : Salman Khan's darling sister Arpita is pregnant! Salman Khan and Khan family loves the younger daughter of family a lot. She is one of the most important person in Salman's family. Just last year she tied knot with Ayush Sharma and the Kick actor organized lavish wedding party for her. Now, Another good news is that, after 10 months of her marriage, Arpita is pregnant! Arbaaz Khan has confirmed the news and told Indian Express, "Yes, it is true. Arpita is expecting and we all are very happy." 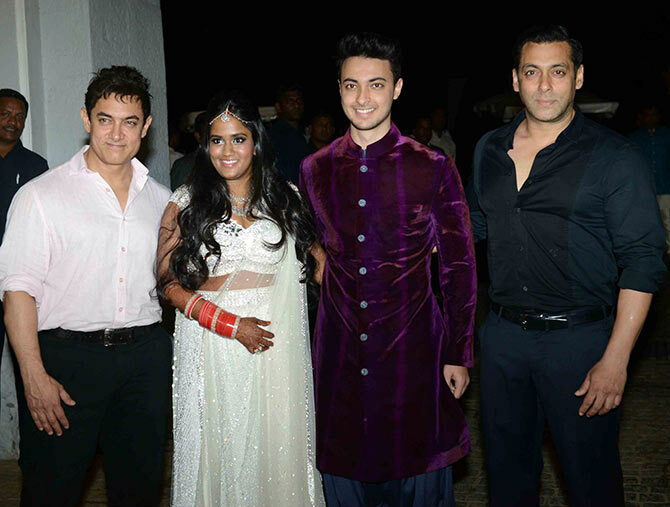 Arpita was seen celebrating Ganpati with Salman and her whole family including her hubby. She was also spotted visiting the Siddhivinayak temple. God Bless Arpita, Ayush & Baby.